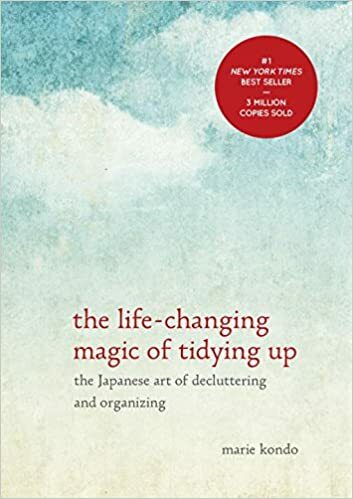 So have you heard of this book, The Life Changing Magic of Tidying Up? A few months ago it seemed like all my friends were telling me about. Apparently, it’s become all the rage since its release in 2014. In it, Marie Kondo outlines her KonMari method of tidying up your home once and for all. I didn’t want to hear about that, though. When this book came up in conversation, I would smile and nod, but I was thinking, “I don’t need to read another book about housekeeping, I just need to buckle down and keep house.” So I tried the Buckle Down Method. For months. It worked terribly. When we moved into our fixer upper, I told myself it would be different. I would have more space and we would have a place for everything. But here’s the thing: if you’re not willing to confront all the things you have, you’re not willing to put them away. Moving after ten years of marriage and three children was eye opening. I was floored by all the boxes we pulled out of the attic only to move them to another attic. They were out of sight, but they were weighing on my mind—what is in all those boxes? I always thought I was a ruthless de-clutterer! And it wasn’t just the attic. All my mental images of peaceful rooms were replaced with mounds of stuff. I know I could say, “give yourself a break, you just moved in,” but that would not have been the truth. The truth was I liked our house better before we moved our belongings into it, which seems the opposite of how it should be. Then came Spring in the midst of it all. The week after Easter feels like the true New Year. January is just a joke, when we’re still wanting to hibernate in the winter season of rest. I don’t remember consciously deciding to, but I guess all this fresh air got to me, and I took the plunge and read The Life Changing Magic of Tidying Up cover to cover last week. Surprisingly, I loved it. Okay, yes, there was a bit too much treating inanimate objects like they are living beings, but ignore all that and what you have is a whole new way to declutter and manage your home that actually works. Before I tell you the five kinds of items I got rid of after reading this book, let me tell you a tiny bit about the KonMari method. The first step is going through your belongings by item type, not by room. You handle your things and ask “Does it spark joy?” Now, you don’t have to ask this about things like your toothbrush, but it’s a valid question for just about everything else. You may be shocked how many things in your house actually spark feelings of guilt or worse that you never even realized. I’m not trying to get all touchy-feely or assign life to inanimate objects, but Kondo’s point that our possessions have an effect on us is, strangely enough, true. So you go through this process for your clothes, your books, and progress through all the different kinds of items in your house, ending with your keepsakes and photos. Then, and only then, do you work on putting things away. Because every single thing in your house needs a home. Sound overwhelming? It’s not a process you can do in one week, for sure. Kondo recommends getting it all done in six months. I promise you, though, once you start, you’re going to want to get it all done right away! Still curious about how this could actually be different from other methods of house cleaning? Let me share some unexpected results from my experience. Here are the five kinds things I got rid of after reading this book. Things I could use but I don’t want to use anymore. Perfectly good clothes fall in this category. I got rid of two canvas grocery bags of clothes. All of these clothes fit fine. They weren’t in bad shape. But they did not make me feel joy at all. For whatever reason, a certain blouse can make me feel like an uptight grump, and a specific dress can make me remember how inadequate I felt when I wore it to a wedding. I won’t ever put those clothes on and feel joy, no matter how serviceable or stylish they are. Beyond clothes, I got rid of scads of toiletries. Why in the world did I have 11 different bottles of lotion, with barely any used up? Six, yes six, of those bottles were expired. I threw all but one away because, newsflash to myself, I don’t even like using lotion! I now have one bottle of lotion and judging by previous lotion use, it will probably expire before I use it up. Things I’ve been meaning to use but haven’t. I.e. most of my craft supplies. 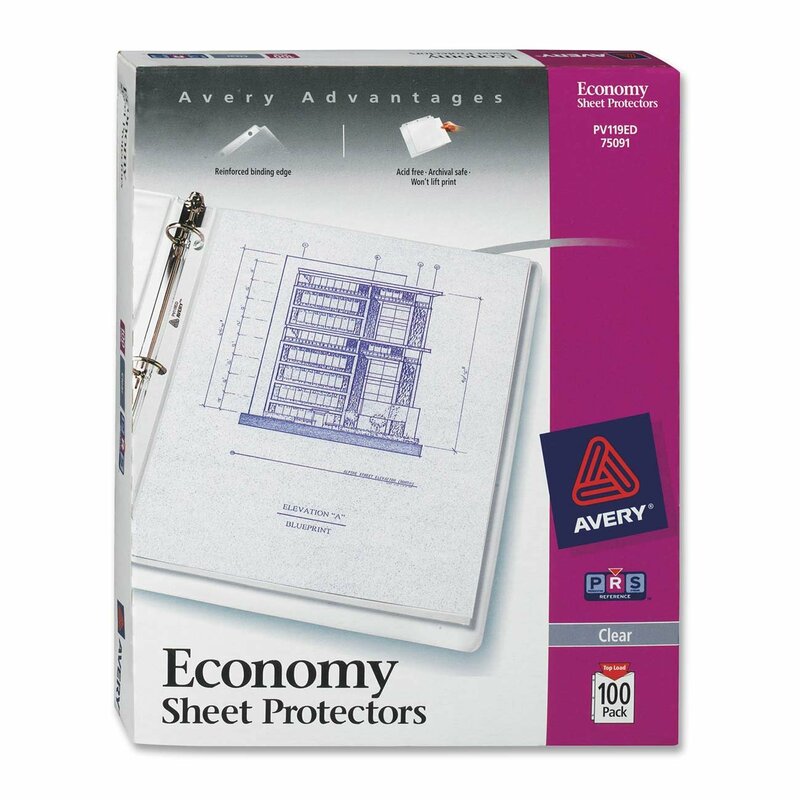 I am not very crafty, yet when craft supplies come my way, I have trouble discarding them. I had in my stash glass painting supplies that I used when I was sixteen. I have been collecting odd yards of fabric for a decade, thinking I’ll someday sew something new and great with it….but I don’t really sew. Ever. The truth is if I am going to make something, I’m probably going to need new supplies. It turns out I only actually liked one piece out of the twenty pieces of fabric that have been taking up space in my home for ten years. All my glass paint was dried up. The only things I kept in my crafting stash were paints I’ve used in the last year, the one piece of fabric I liked, and my sewing kit I use for mending. I know if I really want to make something I’m going to want to use or display in my house, I need to pick the materials based what I like now, not what I had before. Things I thought made me who I am. Well, this is a tough one. Mementos and keepsakes come in all shapes and sizes. Weirdly enough, I’d been holding onto all my college papers. My mental hang up? I will probably never be in a situation again where the merit of my work was measured and found to be pretty great. I was good at college, and I liked to write academically. However, when I started re-reading the papers I pulled out of the attic, I realized I didn’t enjoy them at all. I am too far removed from that world to even know what I was talking about most of the time! It was something I was good at, but it’s not something I do anymore. Also, I still had all kinds of mementos from my wedding day. The sweat-stained satin shoes, the hundreds of greeting cards from friends and family, the dried boutonniere my husband wore. That’s what a wedding photographer is for, right? It’s in this category that I found the most valuable principle I pulled out of Kondo’s book: “It is not our memories but the person we have become because of those past experiences that we should treasure. This is the lesson these keepsakes teach us when we sort them. The space in which we live should be for the person we are becoming now, not for the person we were in the past.” It’s okay to get rid of the clock you really loved six years ago. If you find yourself resentful of all the mugs you’ve collected from your travels, get rid of some! The you in the here and now needs more space to breathe and think than items to pull you from the present back to where you’ve been (on the flipside, if those mugs/candles/what-have-you spark joy, keep them!). Photos. Okay, okay, before you shutter and walk away, I just want to declare this truth: Just because a moment is captured and frozen in time in a photo does not mean it’s worth keeping. I really did not need to move boxes from house to house with hundreds of photos in them of my high school missions trips, college beach trips, or even a trip to Europe. Seriously, if you go through photos (especially from back in the film era when every photo snapped was a photo developed), Kondo says you will probably only want to keep 1 in 5. This was definitely true for me. I kept plenty of photos to give a more than ample overview of my life and my favorite moments and people, and that’s all anyone needs. The bottom line is this: having a cluttered home makes me feel like all my problems are just that- having a cluttered home. Kondo shares story after story of how after clients tidy up, they are left with that delusion stripped away and get down to working on the real issues in their lives. Some of her clients changed jobs, some lost a ton of weight, others mended relationships. A cluttered home is not a life or death matter, but it can keep us from confronting all sorts of things because we hide behind the fact that we can’t deal with anything else, our homes are too much of a mess. Best to get that in order first. Yes…if you actually do it. This is the life changing part. Get your house in order once and for all and get on with your life. Have I done that yet? Noooooo. I’ve still got a lot of work to do. But I really hope that by the end of this summer, my home will be in order. My goal is the feeling you get when you walk into a beach house you’ve rented for the week. The corners are empty. The floor doesn’t have stacks of anything on it. There is no laundry piled up on the beds. The air seems clearer and cleaner. Am I aiming too high? After reading The Life Changing Magic of Tidying Up, I really don’t think so. I want to live with just what I need and just what makes our home beautiful to us. I’m also looking forward to Kondo’s next book, Spark Joy. But first, more tidying! I may have mentioned a few times lately that we’re in the midst of fixing up a house. It’s our fifth go round with a fixer upper. I guess deep down inside, we really like it, but right now we’re in Stage 4 of the Six Emotional Stages of Home Renovation. What are these emotional stages I speak of? Well, in case you’re considering buying a fixer upper, or in case you’re smack in the middle of one, here are the six stages we go through each time. Let it be a warning or encouragement to you, whichever the case may be. You bought a fixer upper! Congratulations! You can’t wait to get in there and make it awesome. Now’s when you get out a notebook and make a bunch of lists, including a timeline for when you’ll be done. (Go ahead and add five to ten weeks to that now). Let’s do this! Here’s what the reality check stage sounds like: “Oh, that’s what’s under the carpet? Eesh.” The gas line to the gas stove is broken? Ergh. It’ll cost how much to fix??? The expenses are piling up and there is even more work to be done than you realized. But it’s okay! You’re not afraid of hard work and it’ll all be worth it. Right? It’s moving in day! The sinks work, the floor is (mostly) level, and you’re putting up curtains and finally tasting the fruits of your labor. This stage is kind of like a second round of Home Renovation Euphoria, but it’s a bit tireder, more subdued emotion. Still, there’s a deep satisfaction of a job well done that lets you sleep like a champ your first night in your finally finished fixer upper. And for some home renovators, there’s also a seventh emotional stage. It usually strikes the dreamers and/or particularly robust home renovators, and it’s one that you should avoid at all costs. It crops up a year or two after you’re done, when you see this nice but run down, totally killer deal that’s actually closer to the office/school/church/what-have-you. It may have a bigger yard, or more square footage. Maybe it has that porch you always wanted but didn’t get out of your last fixer upper. Whatever it is, something about it makes you get that look in your eye and think “We could totally fix that place up.” This is called Insanity, my friends, and it is The Seventh Stage of Home Renovation. Go buy a new car or a trip to Tahiti, but DO NOT buy another fixer upper. Trust a girl who has been sucked in five times. Tahiti sounds really nice, doesn’t it? Time for a Home Renovation # 5 update! We are finally at the stage of fixing up a house when the house begins to take shape and it doesn’t all look like doom, doom, insanity, and doom anymore. I can now share some before and between photos. They’re not before and afters, because, well, it isn’t after yet. We’re still in the middle of everything. Our Before and Between photos aren’t HGTV worthy or anything, but I thought I’d show you just the same. Which brings me to my biggest conundrum about this house – I love the stone fireplace and the cool floating cedar mantle, but what is with the odd bookcase on the right? And, worst of all, the horrendous wet bar as the focal point of the room? I’ve seen some great transformations of wet bars into cloffices or craft desks and storage, but when it’s right next to your fireplace in the room you’ll live in and entertain in the most, what do you do? I’m thinking either rip out the cabinetry and closet doors and put in shelves to make it a bookcase, or just rip out the upper cabinets and put the TV in there. It does contain an electrical outlet, so maybe it’s meant to be. Any ideas? Send them on. I probably should have never started watching Fixer Upper, because now I think “What would Chip and Joanna do?” and then I think, “Stop it. They have a whole crew. And hundreds of thousands of dollars.” The house we’re fixing up is going to take years to be beautiful top to bottom, and will never, ever be perfect. Happily, perfection isn’t my goal. I just want it to feel like a home for my family. We have a ways to go, for sure, but now that I can see the end in sight, I’m quite pleased with our progress. Thinking of doing your own home project? Check back tomorrow for The Six Emotional Stages of Home Renovation.